Whether your business requires one or a hundred telescopic boom lifts, you can guarantee that you will be thankful to have it and your operation will rely very heavily on it. At ToyotaLift of Illinois, our customers are never running out of uses for telescopic boom lifts. From domestic and commercial construction, mechanical, electrical, utility and painting contractors, to petroleum refineries to industrial facilities like automotive and aircraft plants, telescopic boom lifts just make the job easier and because of that are in demand! Telescopic boom lifts take work that would otherwise be impossible and make it simple. Telescopic boom lifts can be raised to completely vertical or lowered to below horizontal. The turntable on telescopic boom lifts can be rotated 360 degrees both clockwise and counterclockwise. Ensuring simplicity for the user, the operator can maneuver the telescopic boom lifts forward and backward, even when the boom is extended. 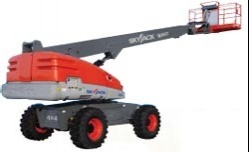 Why JLG, Genie and Skyjack Telescopic Boom Lifts? 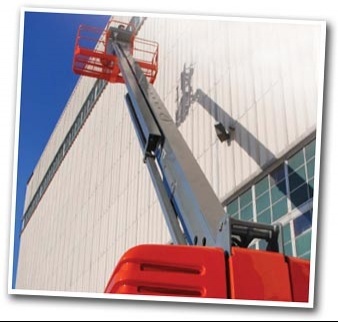 As a JLG, Genie and Skyjack dealer, we offer telescopic boom lifts. All three companies offer great telescopic boom lifts. Easy to handle controls, fast lifts and high drive speeds are to be expected with any of the telescopic boom lifts sold. 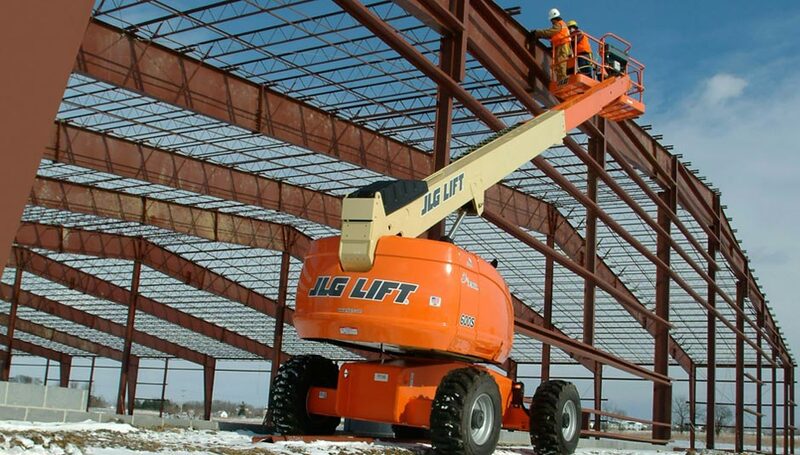 JLG telescopic boom lifts offer the largest product offering available. 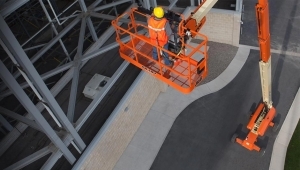 Platform heights are available from 40 ft to 135 ft. Every single one of the JLG telescopic boom lifts have power to the platform and proportional controls. We will be more than happy to explain our service and sales of telescopic boom lifts to you so we can make sure you are getting the deal that is right for you. As a JLG and Genie factory-authorized dealer and service center, Bahrns ToyotaLift of Central & Southern Illinois rents, sells and services a great selection of new Boom Lifts, including Articulating Boom Lifts, Telescopic Boom Lifts, and Electric Boom Lifts. We work with our construction customers to endure a excellent purchasing experience, from helping you choose the right boom lift, delivering your equipment on-time, and helping you service your new or used equipment to ensure a longer equipment life. Telescopic Boom Lifts specialize in the requirements of reach capability.